Don’t Replace…Refinish! Bathtubs and Showers, Tile and Toilets, Countertops and Appliances, Repair or Refinishing call Hard Tops of Iowa. Hard Tops started nationally in 1991 and Hard Tops of Iowa has been in operation since August 2005. Hard Tops of Iowa serves Spencer and travels up to a 150 mile radius of Spencer (Northwest Iowa and Southwest Minnesota). Call for a refinishing or repair estimate at 712.262.0292. The #1 reason you should consider refinishing is the money that you will save. You will save approximately 50% by refinishing when doing kitchen counters or bath vanities. The total cost of replacing a bathtub can be upwards of $2000. The cost of refinishing is normally under $500. If the only thing wrong with your counters or appliances is the color, that can be changed in one short day. 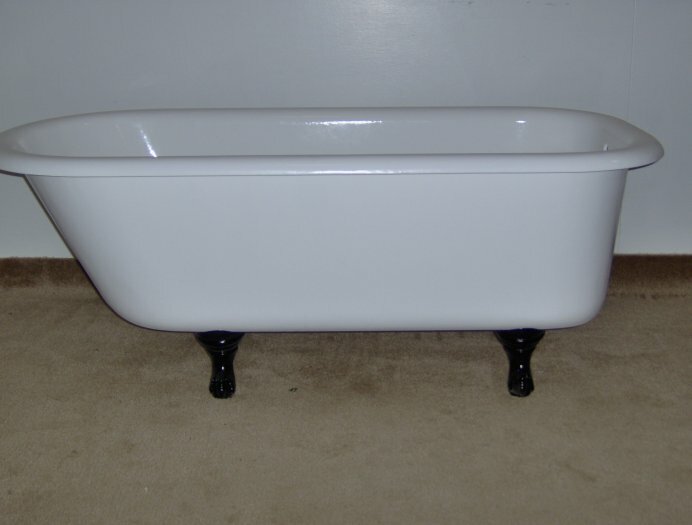 Bathtubs that are stained or hard to clean will look virtually new after refinishing. No more scrubbing!